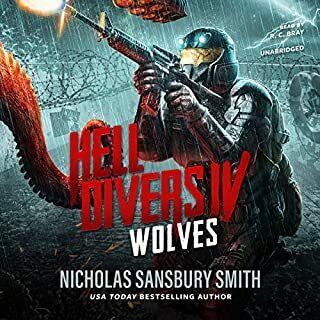 Excellent story...If you like apocalyptic settings and military recon missions then this is the perfect mashup of this. 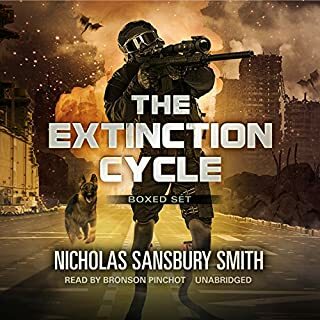 Smith’s battle scenes are detailed and gruesome, he really keeps you on the edge of your seat with this series of books. It took me until after the second book to get used the the narrator’s take on the book, I just found his performance odd. His version of the characters are way off from how I imagine them and he has a strange interpretation on the emotion that characters should be displaying at a certain time in the story. His female voice is the exact same for each character except for the occasional southern accent, and his voice for main characters keeps changing from book to book. Not that I could do any better, I’m just used to narrators having a real talent for character definition. Other than this I highly recommend this book.